Not actually a house but doubtless a social centre. 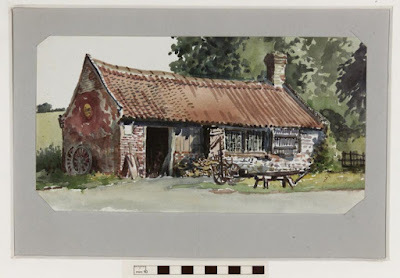 The style of the building reflects that of the Welfitts outbuildings. Sadly demolished in about the 1950s. 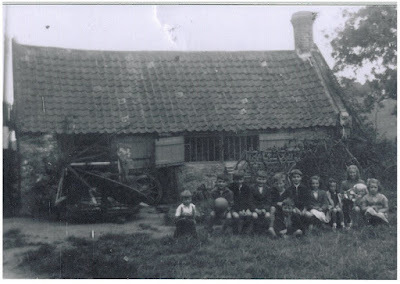 The photograph below shows some young inhabitants of the village sitting outside the Forge - Arthur Naylor, Henry Naylor, Francis Naylor, Albert Sayers, Terry Coote, John Coote (sitting on the grass), Robert Naylor, Pat Naylor, Maureen Riggall, Valery Riggall, Margaret Sayers, Brenda Sayers.